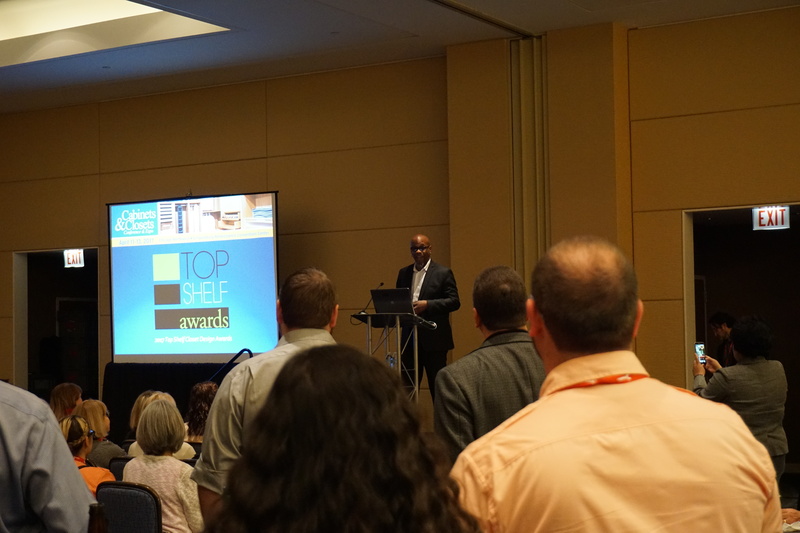 The warm, sunny, skies suddenly opened up in a downpour as we made our way from Detroit to Chicago mid-morning on April 10th for the CCCE 2017 (Cabinets & Closets Conference & Expo). 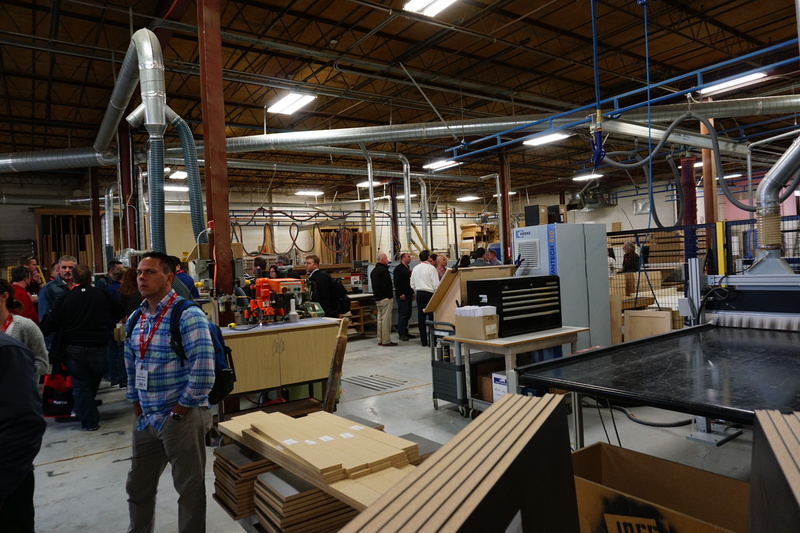 Put on by Woodworking Network (CCI Media), this event is the largest annual conference and expo for manufacturers, specifiers, and designers of custom cabinets, closets and all facets of home storage. After stopping at numerous toll booths we finally made it to the Windy City! 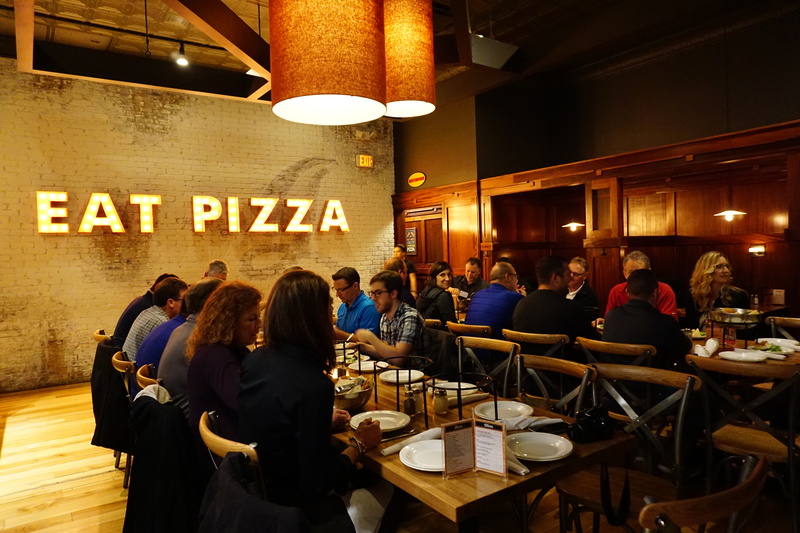 Upon arrival, we checked in at the beautiful Renaissance Schaumburg, and jumped back in the car to quickly meet up with the Cabinet Makers Association for a delicious pizza dinner at Giordano’s. The CMA is a professional organization where cabinetmakers and woodworkers from both the residential and commercial markets come together to share their hard earned knowledge and experience with one another. Matt Krig, of Northland Woodworks, President of the Cabinet Makers Association, delivered a rousing speech and everyone was excitedly chatting about all they had seen and done that Monday. 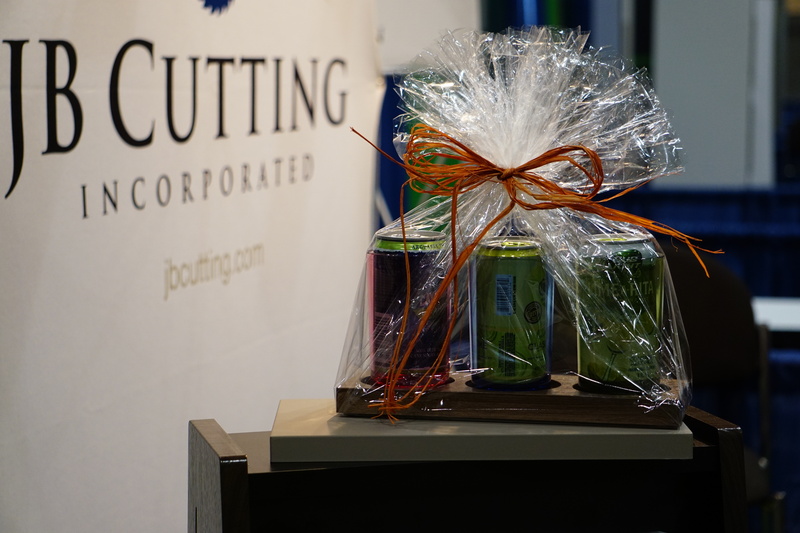 We got an early start on Tuesday, heading straight to the convention center and setting up our booth just in time to join the Cabinets & Closets Conference attendees for a peer to peer lunch, sponsored by JB Cutting! During the luncheon, we raffled off our triple threat margarita holders. The next event on our list was the plant tour of Inter Ocean Cabinet Company located a short bus ride away in Elmhurst, IL. Inter Ocean is a union architectural mill-work firm and has longevity in the woodworking business, being in operation for over 100 years. They’ve revitalized their computer management systems and tweaked material handling and installation in order to keep up with the times. The 48 employee shop is a model of efficiency. They use an ERP called Global Shop Solutions, which we plan on implementing here at JB Cutting, so the tour was especially relevant for us! Wednesday the 12th brought the anticipation of hearing Lauren Mobyed from Google and Todd Bairstow from Keywords Connect open the expo with their keynote speech: What’s Trending in the Hunt for Cabinet Buyers. 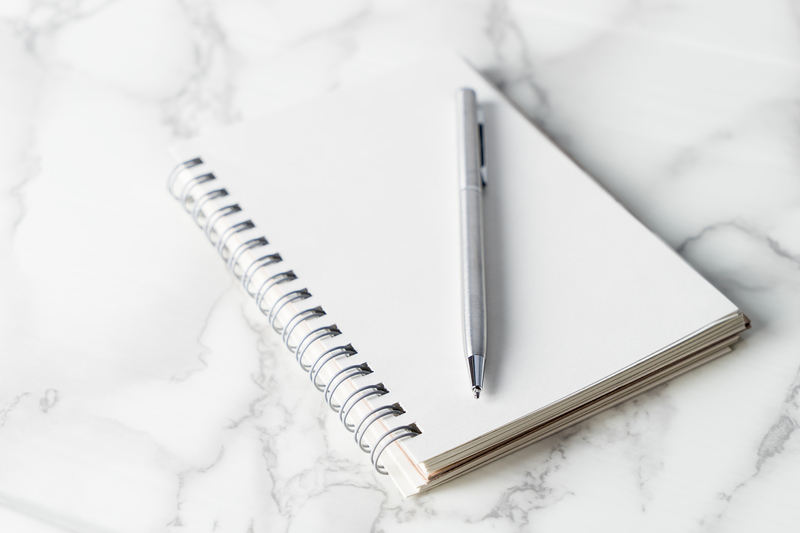 Thinking about re-vamping your website? This duo made some key points about SEO (Search Engine Optimization) and how making your website mobile-friendly is a must in this day and age. The expo was full of energy! We met a few new contacts, along with reconnecting with our current customers. JBC was promoting our 5 Piece Craftsman Series and our TFL Artisan Series. Much interest was generated in a new color we are offering in our Endurance Collection, called Carrara. If you’re seeking to achieve the high-end look of marble, without the high-end cost, this 3DL faux stone is the answer! Around 5:30pm, everyone headed back over to the hotel where the Top Shelf Awards were held. This year, Richelieu sponsored the event. Attendees and exhibitors had a great time taking pictures on the red carpet, and watching as Brian Ellison from BKE Designs announced the winners. Congrats to all who participated and a big thank you to Richelieu for sponsoring! Thursday morning we headed over to the expo for another full day of making contacts and displaying our products. The day seemed to fly by! After an action-packed few days, it was time to quickly break down our booth and head home to Detroit. Hopefully, this gives you a taste of what the CCCE is like from a vendor standpoint. If you’re more of a visual person, we’ve created a short, 2-minute video of our experiences. If you watch through to the end, you’ll take a walk on the wild side with views of trending animal patterns. The location of next year’s conference and expo has yet to be announced, but you can be sure we’ll be there! Where would you like the next event to be held? Let us know through the usual social media channels.